We like to think of spring as the most appropriate time to invest in new shoes, as we are cleaning out our closet. We prefer investing in shoes that we can wear year-round, like boots. Yes, you do not just have to wear them in the fall into winter. 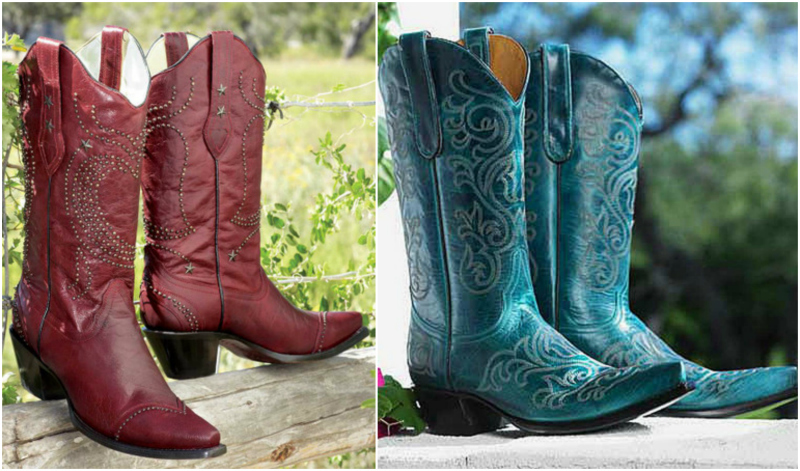 With many styles of boots, you have many options from booties to rain boots to the classic cowboy cowgirl boots. Not to mention, the warm air inspires us to create outfits with a little more flavor. 😉 And, we believe the foundation of real posh look starts with solid footwear. To encourage a closet refresh, we curated a list of four ways to wear boots this season, all of which are surely bolder than the ones you’ve tried before. #1. 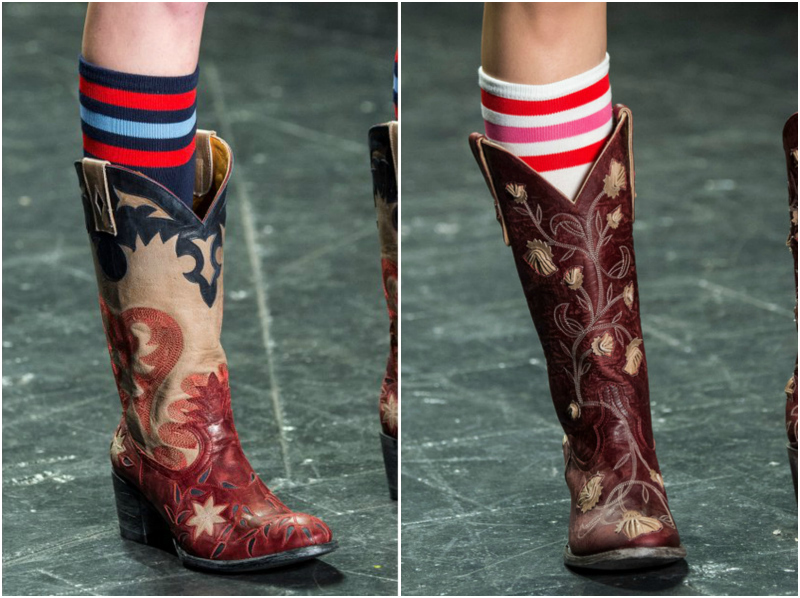 Western boots and colorful socks can also be paired together quite comfortably this spring. There’s nothing that quite tickles our fancy like well-paired socks and cowgirl boots. Not only will the socks make wearing your bot comfortable, but a peek of the knitted accessory over the top of your boots adds interest to your outfit. #2. We see a lot of boots this spring that allow for breathing room with holes all over or a mesh creation. Go for boho chic look. White off-shoulder top with belted midi white skirt or skinnies team up well with these boots. #3. Vibrant shades of leather boots are a common look for the spring 2017 shoe trends. Whether tucked into a pair of jeans or styled with a skirt, vibrant colored boots makes any outfit pop. Go bold this season! #4. 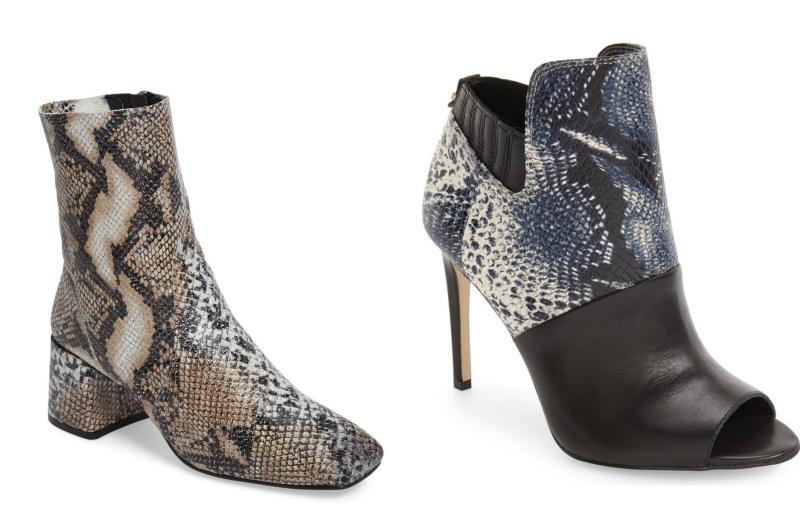 Snakeskin looks pretty amazing as a bootie this spring, or you can play with the option of the combination of simple leather and snakeskin boots. 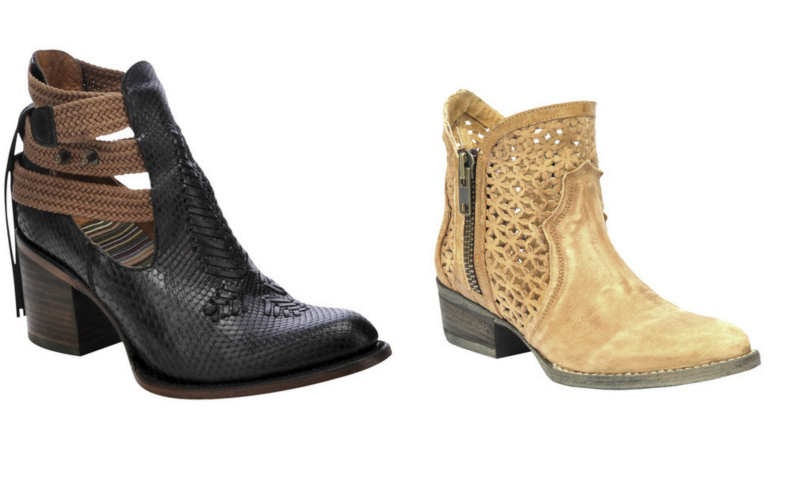 Black boots are great, but snakeskin boots are so much cooler. Look and feel like a rocker this season! Whether we are looking at the square toes or the rounded versions, warm weather boots are a real thing and the colors are what make them attractive for the real posh moms in the world. How will you be wearing your boots this season?